Hey readers! I am so excited that we are only 51 sleeps away from Christmas! It is seriously my favorite day of the year, no comparison. We are hosting Friendsgiving in 2 weeks and I'm really excited, but our apartment is already being decorated for Christmas so we're kind of having 2 holiday parties in one. YAY! Today, I wanted to share some of my favorite moments from life lately as well as a reader survey! This will be my first reader survey ever so I'm looking forward to getting feedback and hearing what you have to say. 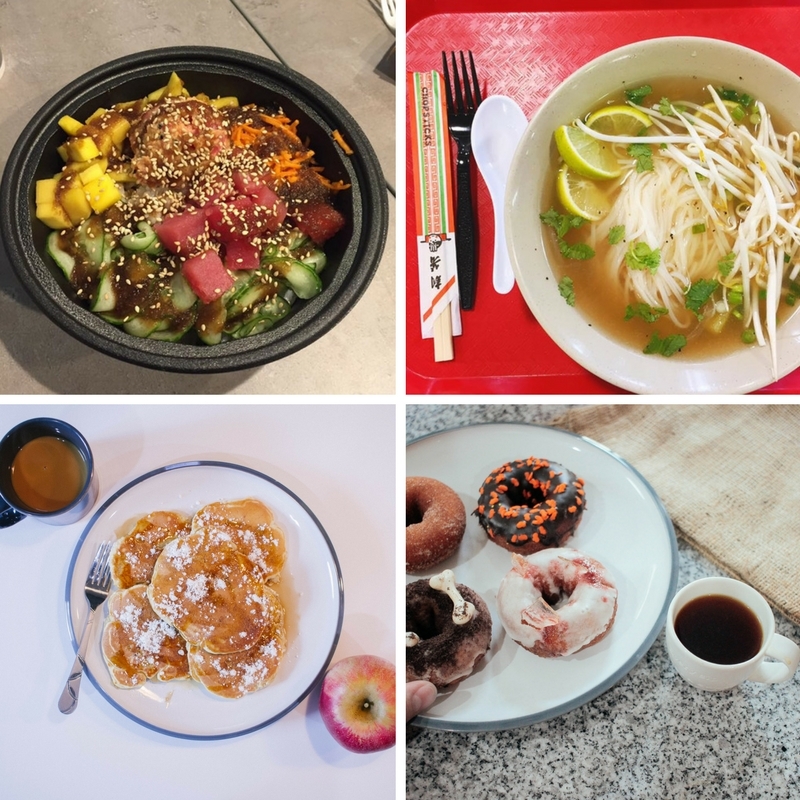 Delicious new sushi places and Vietnamese places in Lancaster and Harrisburg. These delicious pancakes that I made with apples from our orchard trip. Spooky donuts and great coffee. 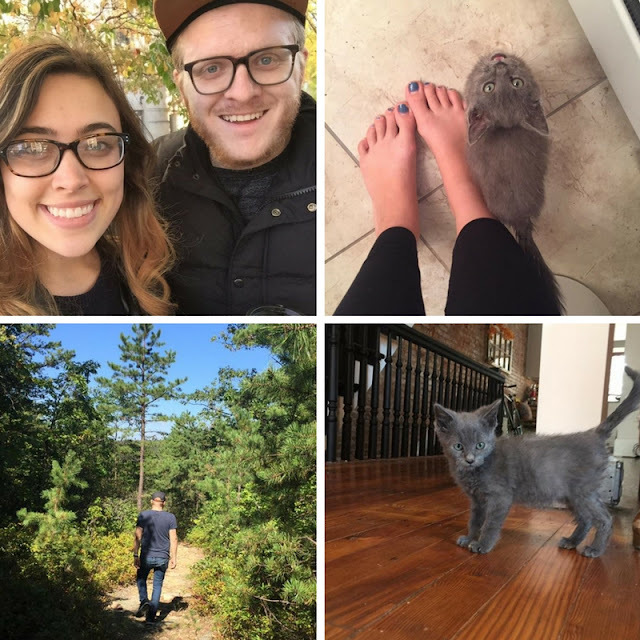 A few fun dates getting coffee + going hiking and the newest member of our family, Fern! OakmossCollective released a new line of products in their online shop! 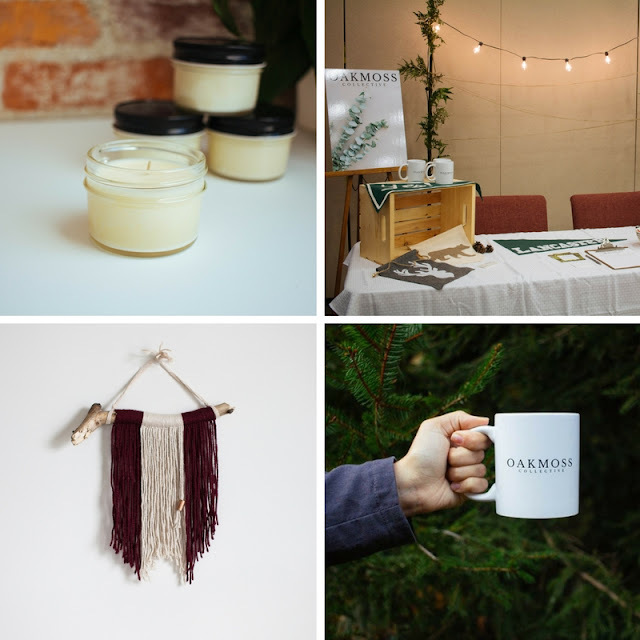 Be sure to check it out for some Christmas gift ideas (the candles smell AMAZING). A dear friend of mine got married a few weekends ago and it was the prettiest wedding ever! 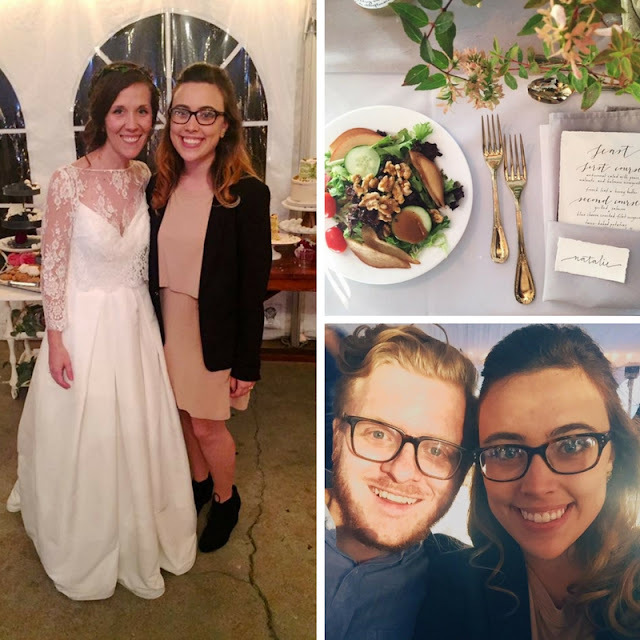 She and her husband are so creative and fun-loving so there was no question that we had a great time. It was really fun to get dressed up and celebrate with Mark, family, and friends. And now, without further ado, my first reader's survey! I would love to know what you think of A Tiny Traveler, hear your suggestions on how I can improve it, and any other thoughts you have. Just click below (it's totally anonymous) and fill it out. Thank you so much! Thank you so much. I'm really looking forward to making improvements to my blog and reading your feedback!